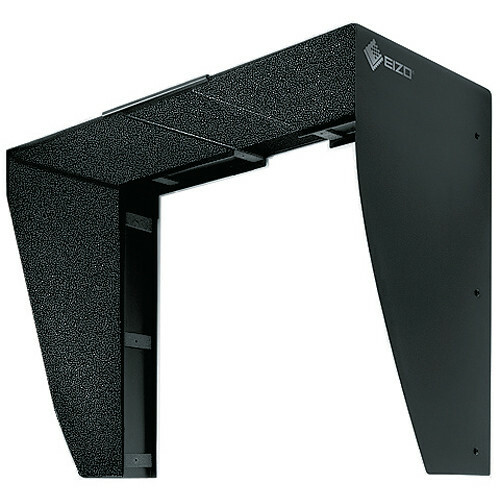 The EIZO Hood for 23" EIZO CS230 ColorEdge Widescreen Monitor (2012) is an anti-glare hood designed to help increase screen color consistency. The hood attaches to the monitor to shield the screen from light from above. It even features a sliding plate that retracts to allow a photo sensor to be attached to the monitor. The hood can be used in either portrait or landscape mode. Box Dimensions (LxWxH) 16.7 x 13.4 x 4.0"